Nintendo is re-implementing demos for WiiWare games, but their limitations are baffling. Nintendo began uploading demos of certain titles available on its WiiWare digital download service last year, finally catching up to its competitors, but Nintendo removed them in January. Nintendo is smartly re-enabling WiiWare demos, but once again with limitations that make me wonder if Nintendo understands their purpose. Successful digital download services like Xbox Live Arcade and the PlayStation Network both have robust demo systems that allow users to try games before they buy them. XBLA even goes so far as to implement trials for every single release on the service, which arguably increases purchases made. Searching for games to buy on WiiWare can be tough at times, because it's hard to buy a game based on just a description and screenshots. On November 22, Nintendo will release demos for WiiWare's BIT.TRIP FATE, And Yet It Moves, ThruSpace and Jett Rocket. It's a good start, but Nintendo says that these demos will only be available for a limited time. New demos will regularly be added on Mondays, but again, only for a limited time. Nintendo itself says that demos "allow people to sample a wide selection of games to help them decide which ones best suit their tastes," but apparently doesn't want to enable them permanently. When demos were uploaded to WiiWare last year, the sales of the titles they gave a taste of improved. Maybe I'm missing something, but it seems like if more demos were available Nintendo and WiiWare developers would only make more money, unless Nintendo doesn't want to let people know what's crap and what's worth buying. 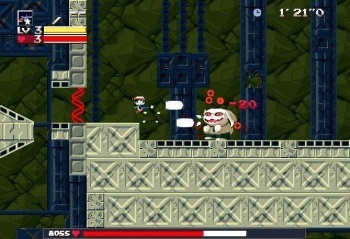 There are some real gems on WiiWare, like Cave Story and World of Goo, but I don't see how it would hurt to give buyers a little help to realize they want to take the plunge.